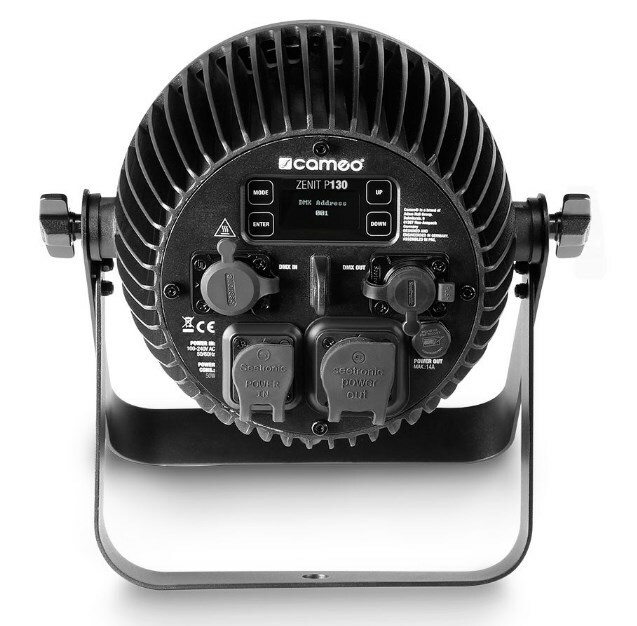 The Cameo Zenit P130 is an IP65 rated outdoor PAR can with a sharp, tightly focussed beam angle of 8°. For an additional choice of 25° or 45° angles, it comes with two ultra-efficient light shaping diffusers which are specially designed to maintain the fixture's powerful illuminance. 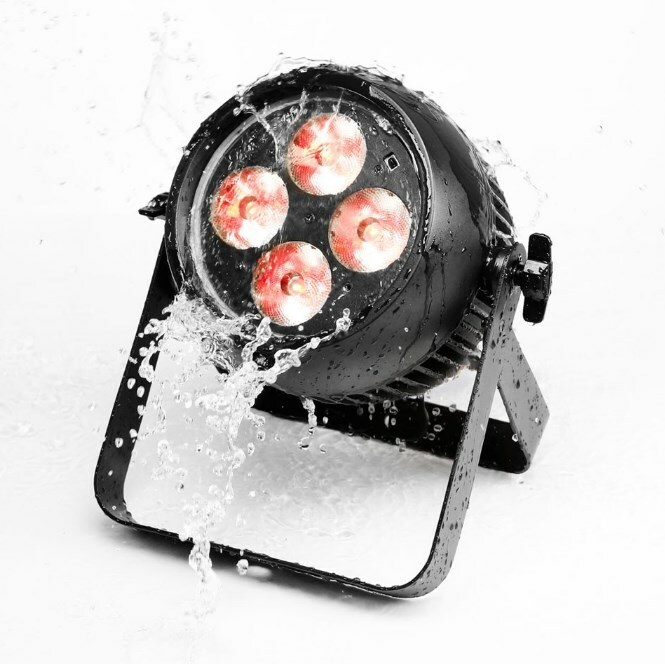 The Zenit® P130 is equipped with four 32W RGBW Osram OSTAR LEDs for brilliant, uniform Colours while 16-bit technology enables high-resolution Colour mixing and dimming. With a 3,600 Hz refresh rate and flicker- free operation the advanced Zenit® P130 is the perfect choice for motion picture and TV applications. Highly effective convection cooling ensures totally noise-free operation. Truly professional, the Zenit P130® is RDM-compatible and includes 7 modes of DMX control, exciting automated programs as well as master, slave and standalone capability. 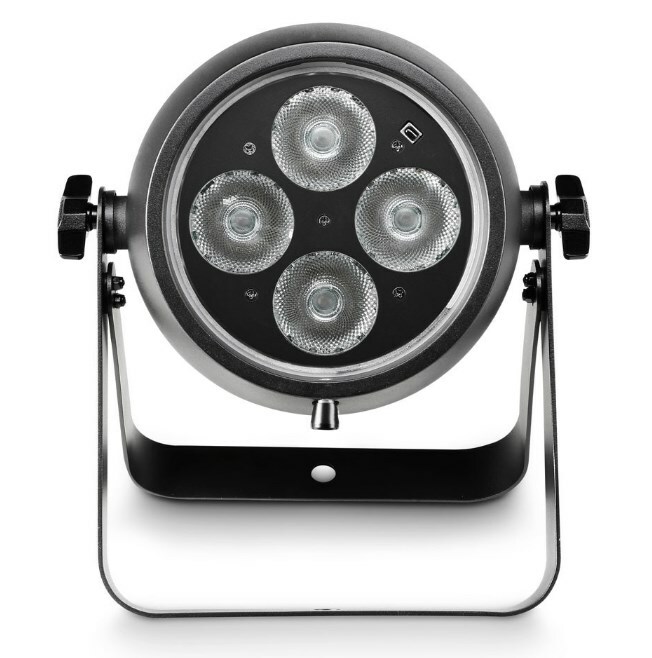 It features Colour temperature and individual LED Colour correction, a high- speed strobe, 4 selectable dimming curves and adjustable halogen lamp-like dimming response. 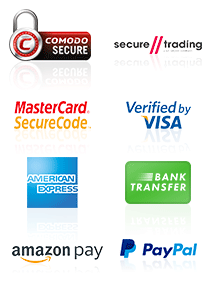 A security lock prevents unauthorized menu access. 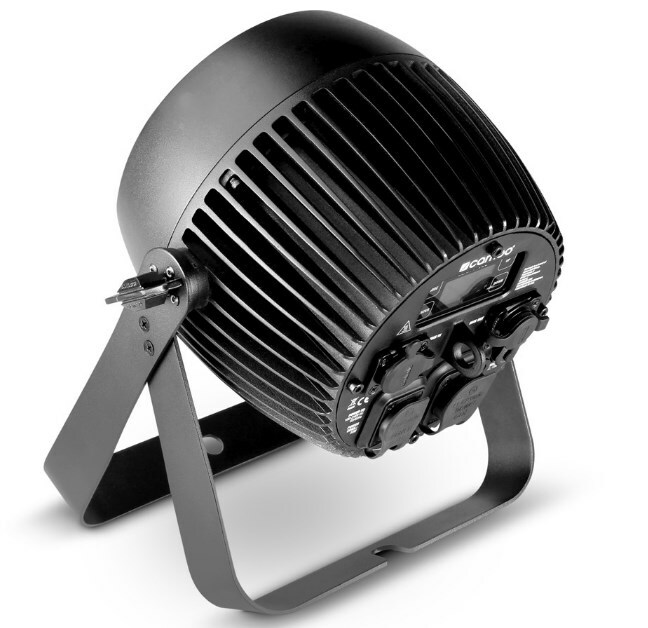 To enable easy daisy-chaining, the heavy-duty die-cast aluminium housing provides innovative locking 5-pin DMX and AC power inputs and outputs. A modern OLED display with 4 touch buttons allows easy, intuitive configuration.